Islands represent unique challenges for supply of energy. By nature they tend to be distant from conventional, large scale energy sources, and they tend to lack natural resources necessary to produce power locally, which is particularly true for small islands. A case in point is Puerto Rico. This month my wife and I traveled to Puerto Rico for the first time for a much-needed vacation. Dealing with, or even thinking about, energy was one of the furthest things in our mind. However, two days into our stay, energy became the most important aspect of our vacation. 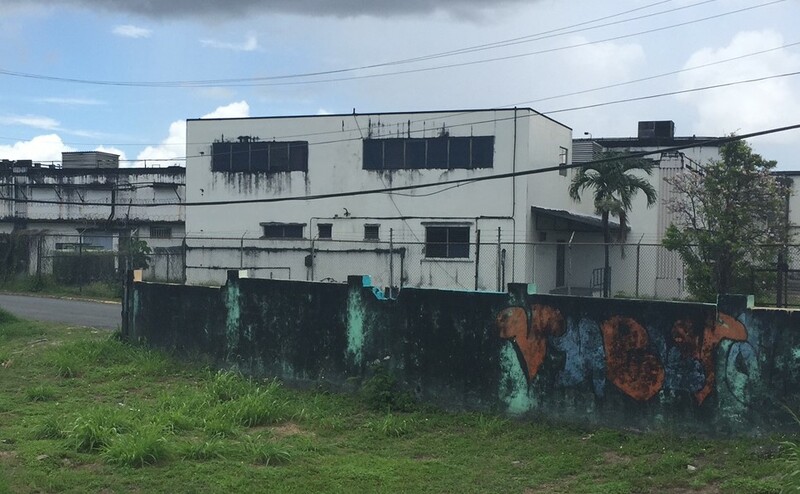 First, a little history…The Puerto Rico Electric Power Authority (PREPA) is a government owned corporation that is responsible for providing all electrical power to the island. It provides service to about 1.5 million clients with a capacity of approximately 6 GW (including about 1 GW derived from Power Purchase Agreements with 3rd parties), peak demand of approximately 4 GW, and total yearly generation of approximately 19 terawatt-hours (2014). A little over 4% of the generation is from renewable energy sources, all through the PPAs, with the remainder from fossil fuel, with the primary source being fuel oil at 72%. This is a common story for islands – the bulk of their electrical power is derived from burning fuel oil which must be imported. 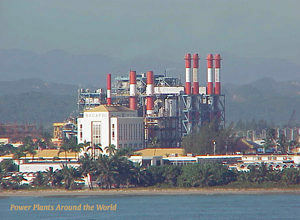 PREPA operates five main power plants: Costa Sur, Aguirre, San Juan, Palo Seco and Cambalache, all of which were built in the 1960s and 1970s. The cost of importing oil and the poor efficiency of these old plants result in Puerto Ricans having a higher retail electricity rate than any US state except Hawaii, another island that depends heavily on fuel oil. Back to the vacation…On day 2 of our vacation the electrical substation that provided power to our hotel had an equipment failure. The resulting power outage lasted for almost 48 hours, most of which was spent waiting for delivery of a replacement part. Rather than move to a different hotel, we chose to stick it out. We had a very useful lesson in how critical electrical power has become in our lives. The most obvious impact was an immediate lack of air conditioning. And, although there is generally a nice breeze along the coast, if you open your windows to take advantage of it, you invite all the flying / biting insects that inhabit this tropical island to join you. Of course, no power means no TV, no lights, and nothing to do after the 7 pm sunset except try to read by flashlight and head to bed early. Perishable items must be thrown out, cooking is impossible, and – possibly the most challenging impact of all – you can’t charge laptops or smart phones or access the internet, and you quickly lose contact with the outside world. Although we did survive by exploring the island (in our air conditioned car), eating out, and camping out at Starbucks to charge our phones, it was an eye-opening, mind-expanding two days. We hope we never have to experience it again, but realized that it is something which should probably be required of everyone to teach the lessons of how important energy is to modern life. looked burned out. We then realized that they weren’t burned, but were simply a black color, and speculated that it was black mold. But we hadn’t seen such mold before in other Puerto Rican communities. We finally concluded that it must be black soot that had been emitted to the atmosphere by the power plant and settled onto the buildings over decades of burning fuel oil. Coming from the US where active citizens and powerful environmental groups would address the obvious environmental impact of such a plant, it was hard to believe what we were seeing. However, after returning from our trip (and getting power and the internet back), a little research confirmed our conclusion. 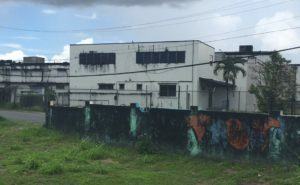 The Palo Seco plant, as well as the other fuel-burning PREPA power plants and PREPA itself, have been the target of EPA investigations, class-action lawsuits, and even now a Puerto Rican Senate investigation on whether the company purchased below-spec fuel oil and then overcharged consumers (see NY Times article). All of this with the backdrop of PREPA being $9 billion in debt. The long term solution to the problem of island power generation is obviously renewable energy, but there is a huge challenge on how to get from here to there, even putting aside the financial issues. The NREL has estimated that solar resource potential in Puerto Rico is moderate and totals about 1,100 MW with very little installed capacity to date. Wind potential is also not great at only 840 MW of which 120 MW has already been tapped. The best opportunities to supplement these resources to meet total demand lie in ocean energy, with potential of 4,800 MW, and biomass, with potential of up to 6,800 MW. However, both of these sources are long ways from being commercial in any significant quantities. (See NREL Energy Snapshot Puerto Rico for more details.) The conclusion is that conversion from fuel oil to natural gas via imported LNG coupled with increased renewables provides the best route for Puerto Rico to clean up its power plants, meet current environmental regulations, and achieve its renewable energy targets.